Apart from being talented himself, Jason Atherton is good at spotting talent, nurturing it and promoting it. When Laure Patry, the head sommelier of his group, told him about her dream of opening a wine bar, he not only supported her but gave her carte blanche to make of it what she wanted. The result was Social Wine and Tapas, a wonderful place which is a combination of a wine shop, wine bar and tapas restaurant. Laure, who’s put together the wine lists at all of Jason’s restaurants, has incredible taste and that is evident here from the wine to the décor and service. You can buy any wine you want to take home and the amazing thing is that everyone serving you is a sommelier who is able to explain everything in detail but, unusually for this kind of establishment, in a really relaxed manner. The wine list is impressive, full of gems,with prices suited to all budgets. You can find labels from big producers, biodynamic wine producers, grower champagnes and even a range of aged Argyros Vinsanto. All bottles are opened using the Coravin method, which you can also buy in order to perfectly store your wine even after opening. The wine shop sells glasses, gorgeous carafes and books, and organises master classes with the first one on Friday. Anyone not in the mood for wine can opt for killer cocktails or even sake. Any venue with Jason Atherton’s name above the door is bound to have good food. Head chef Frankie Van Loo, previously at Social Eating House, has made a series of creative and super tasty tapas. I was floored by the miso roasted carrots with walnut pesto and caramel aromas, and I devoured my Iberian pork burger with foie gras. Some of Jason’s classic dishes from his Maze days are also here in updated form, like the beetroot and goat’s cheese or the duck egg with peas and chorizo. The chocolate tart and orange crema catalana are simple but made with great quality ingredients and perfectly paired with the many sweet wines Laure has chosen for us. I would also recommend a trip to the toilets as it will be prove to be very informative. I won’t say more so as to not spoil the surprise. 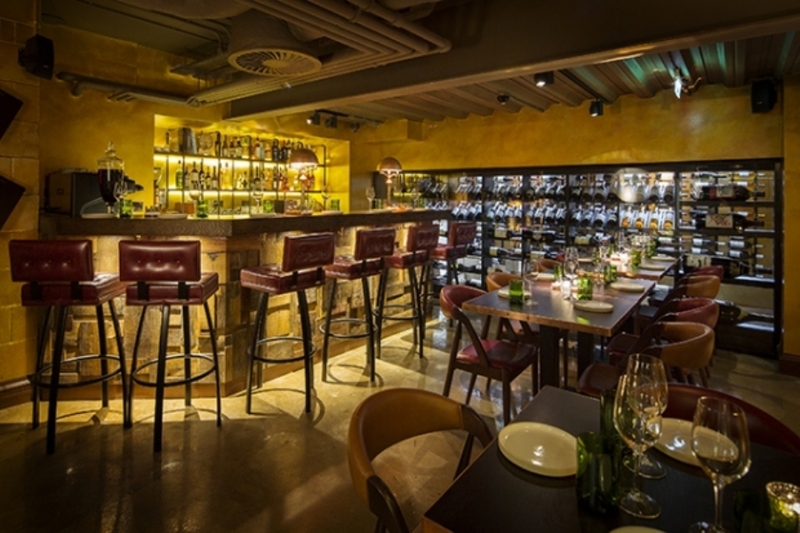 Social Wine and Tapas is the most complete wine proposition in London. The reason it’s so special is because Laure and her team have the knowledge and good taste necessary in order to recommend a number of things without youfeeling patronised in any way. On the contrary, this place is really good fun.